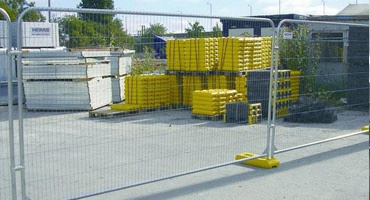 We carry large stocks of temporary site mesh panels, feet and clips at our yard in Bethersden, near Ashford in Kent. Available for sale new, second hand or for short and long term hire. We can deliver and install, and dismantle and remove on completion of your project. Please contact our office for further information or to request a quotation. Heavy Duty Panel – Vertical Tube: 38mm Dia. 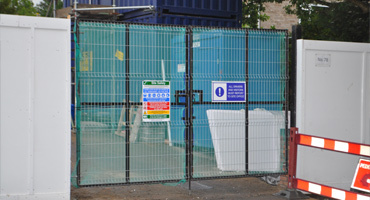 Temporary mesh site panels, to keep your construction site safe from the public and to keep the public safe from your construction site. 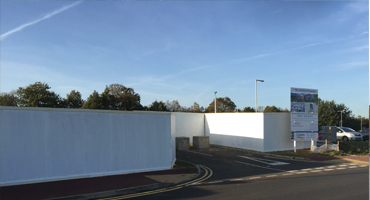 Temporary steel hoarding system consisting of panels, feet, stabilisers and feet to ensure your site is safe and secure. 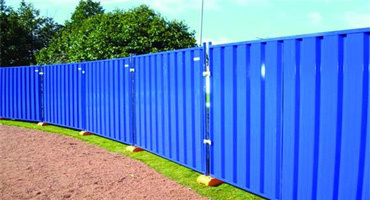 Our low cost construction site gates are steel framed and clad with weldmesh or ply.